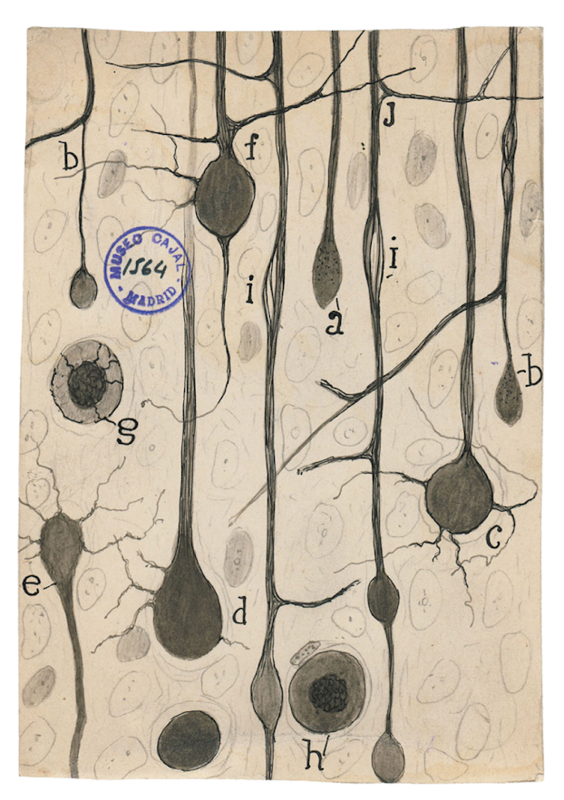 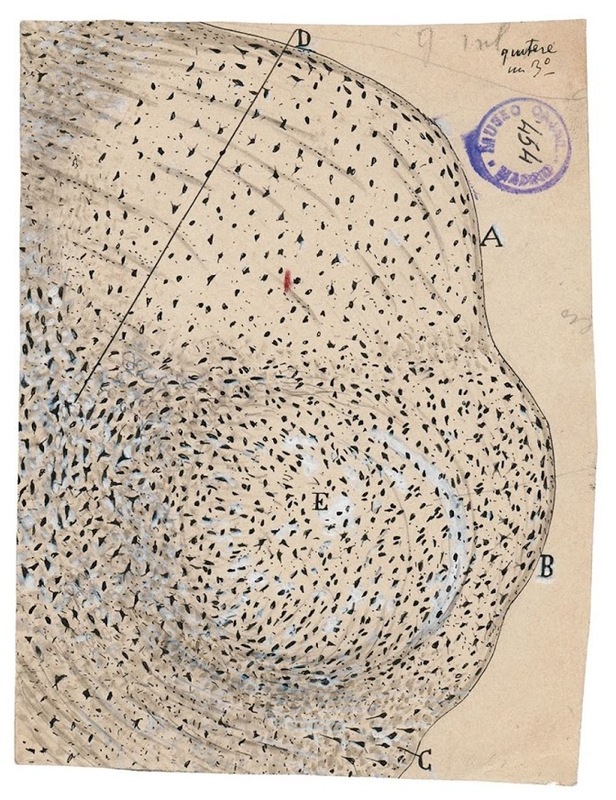 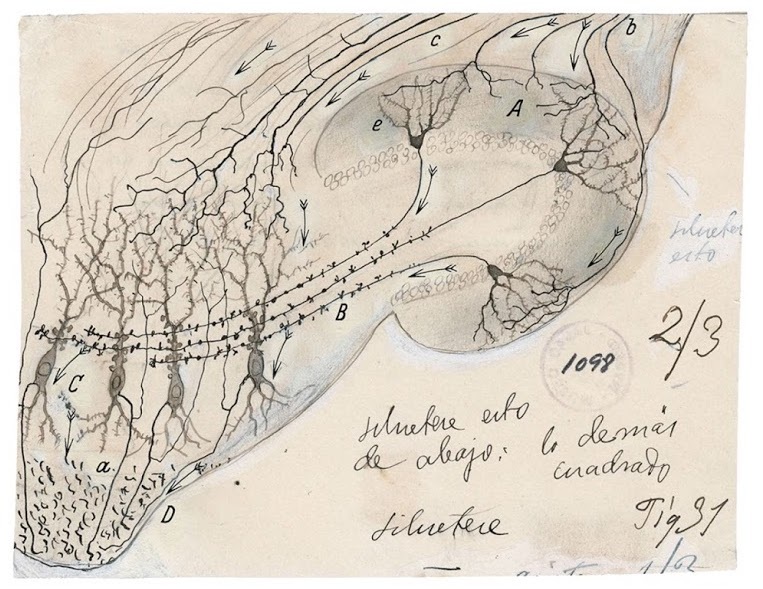 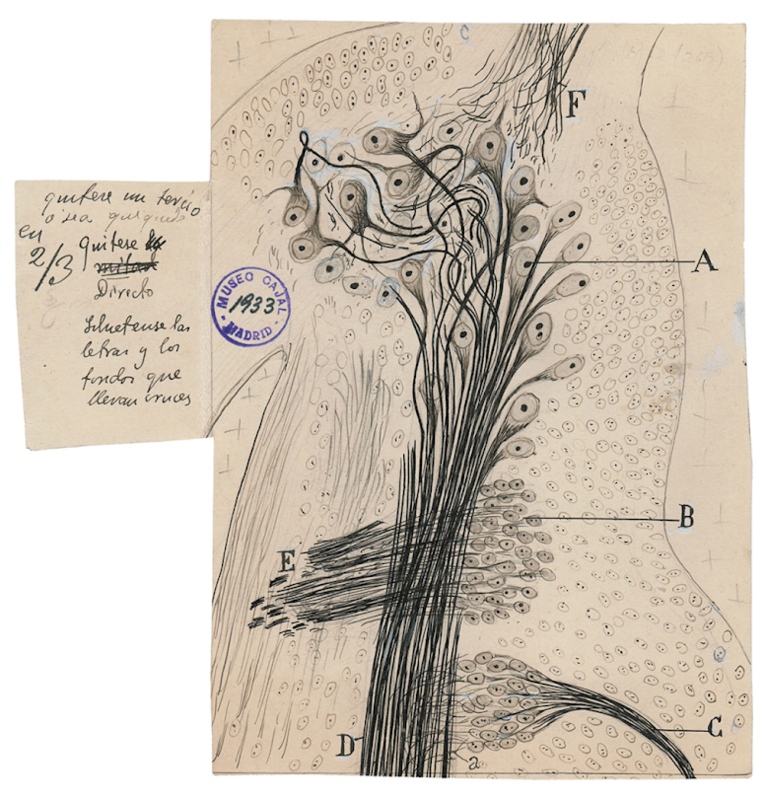 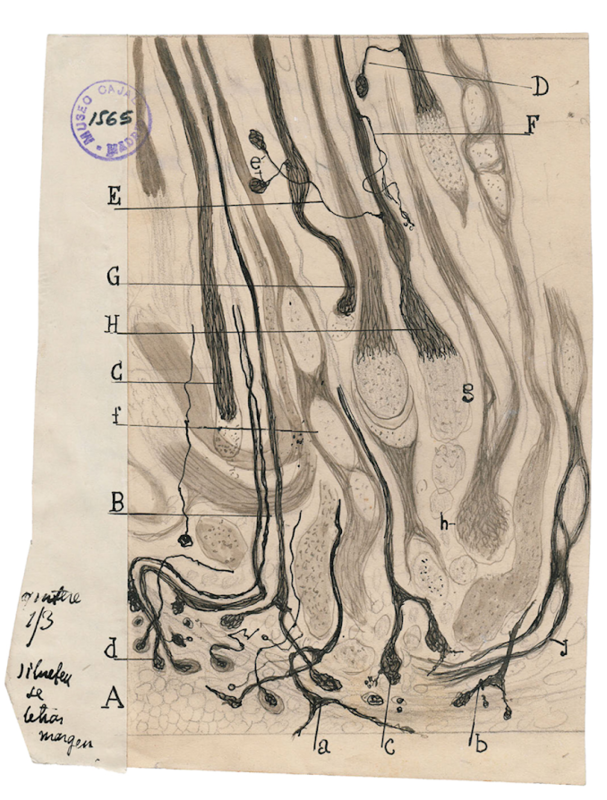 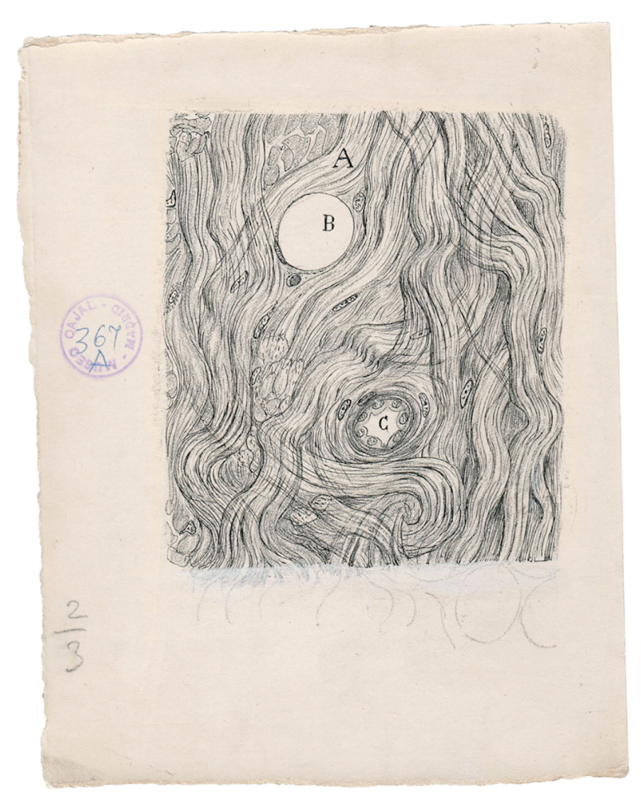 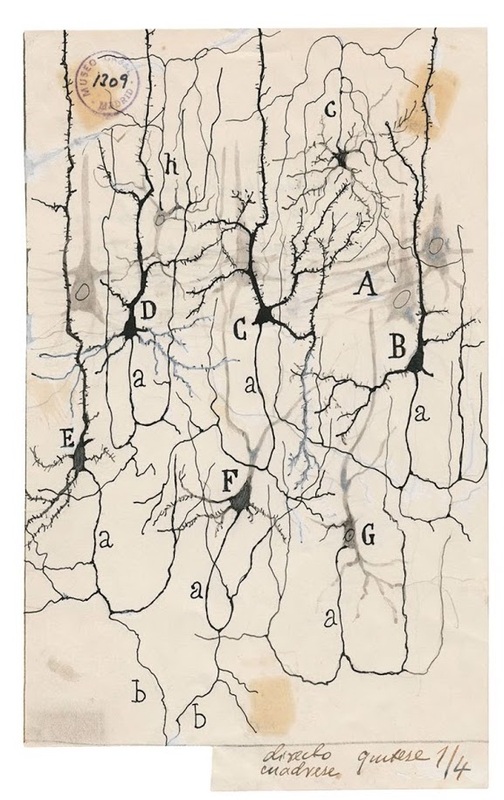 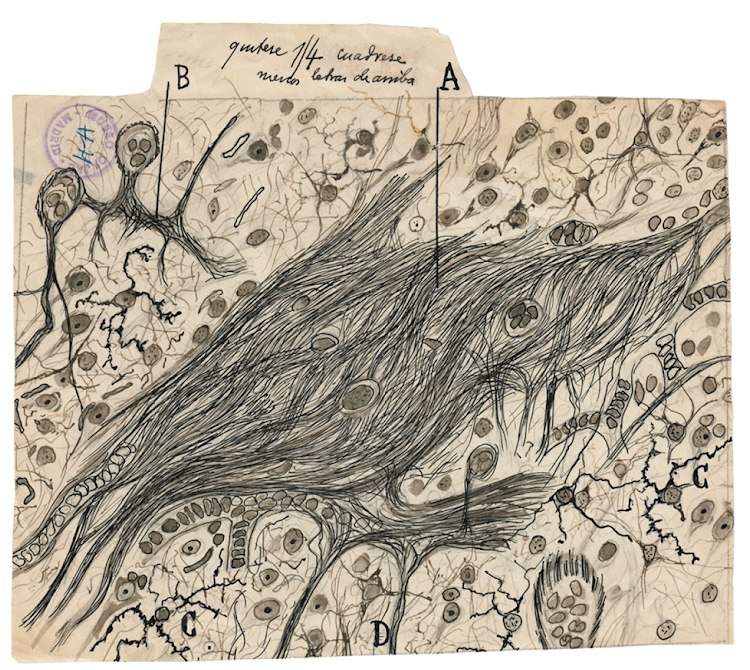 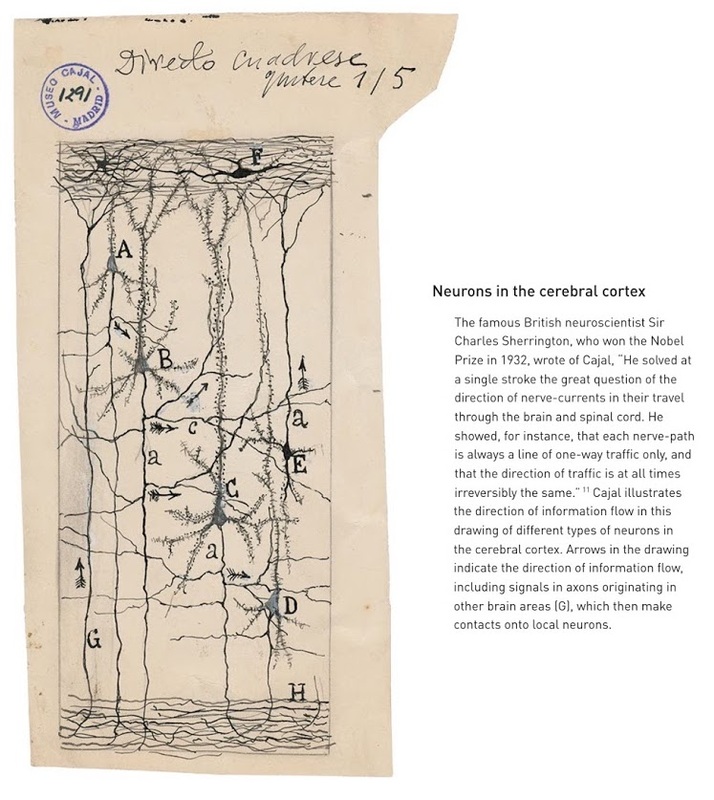 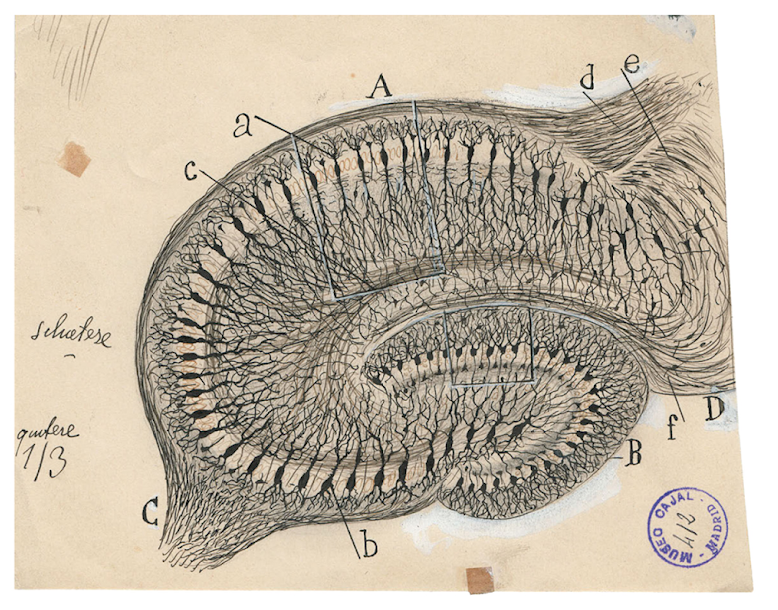 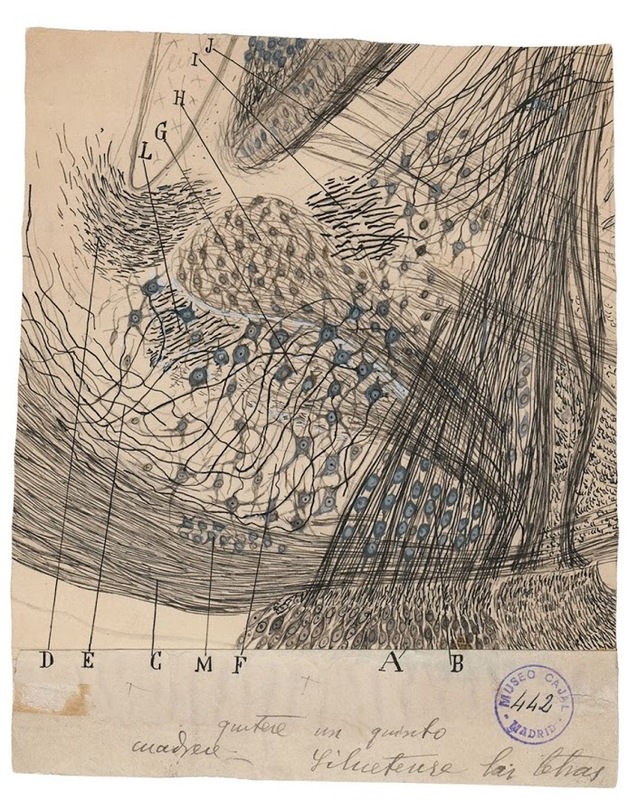 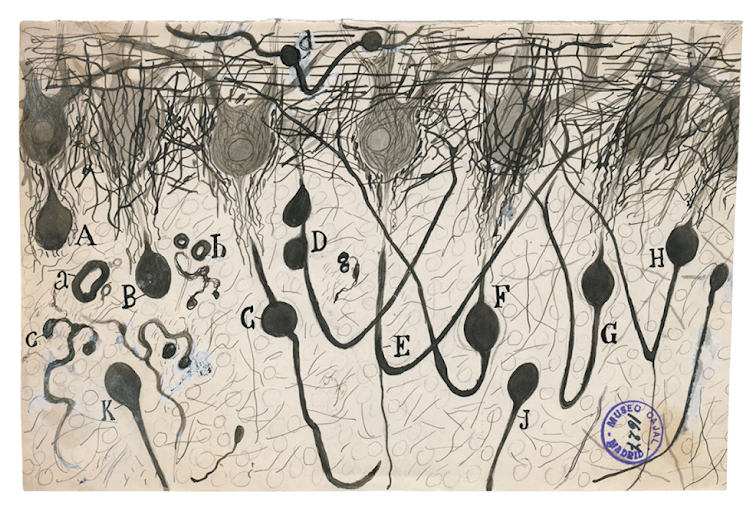 Landscapes of the mind are these drawings of Santiago Ramón y Cajal in an exhibit called The Beautiful Brain, most recently exhibited at MIT. 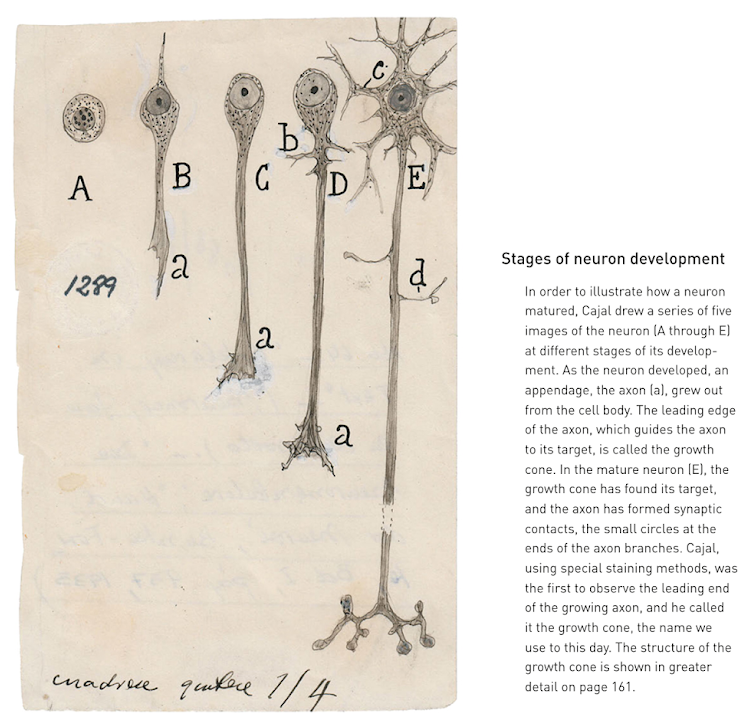 A passage from the exhibition catalogue notes the poetic thoughts he had about the scientific discoveries he was making. 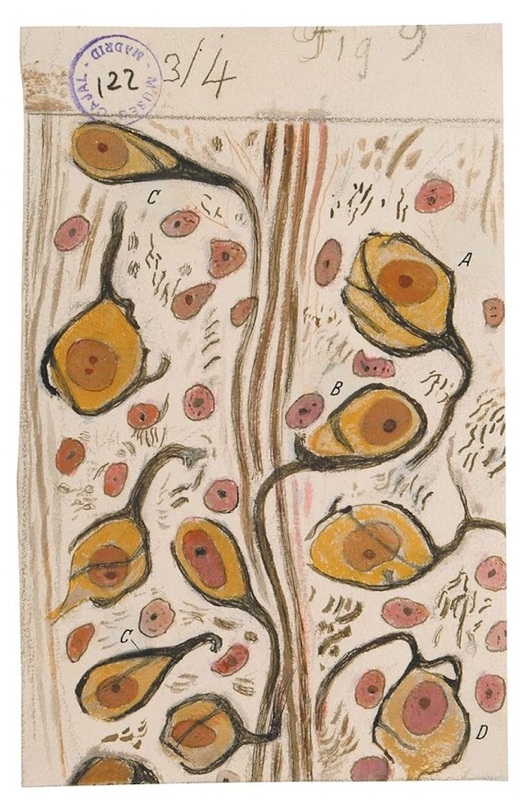 Just dwell in the beauty of these lovely pieces. 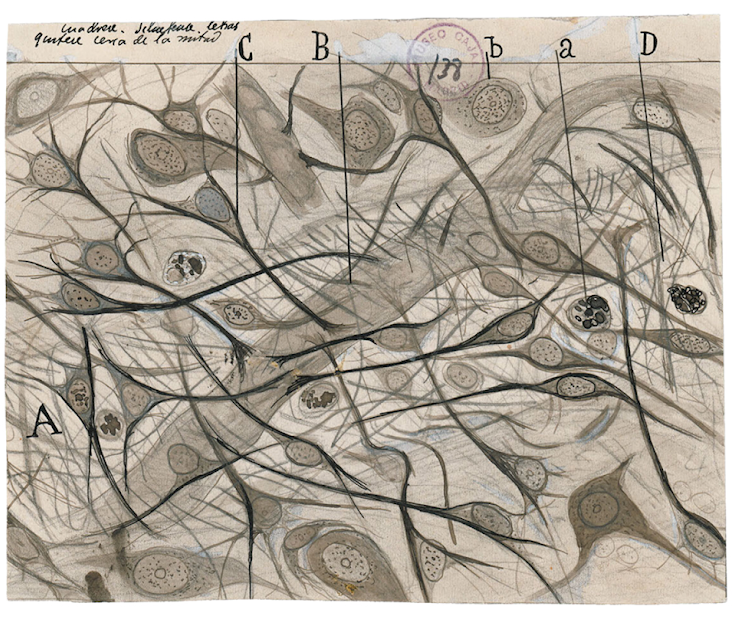 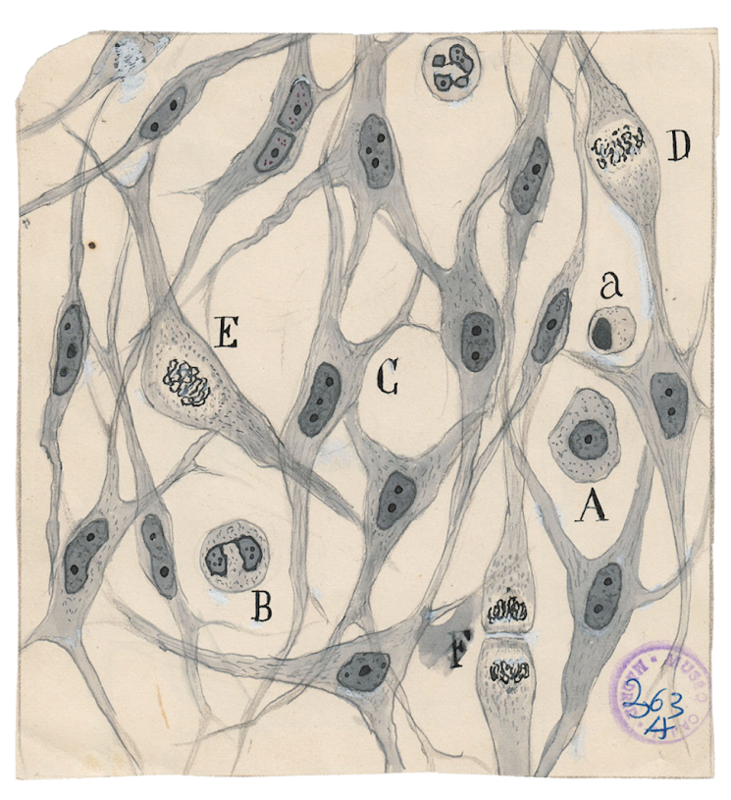 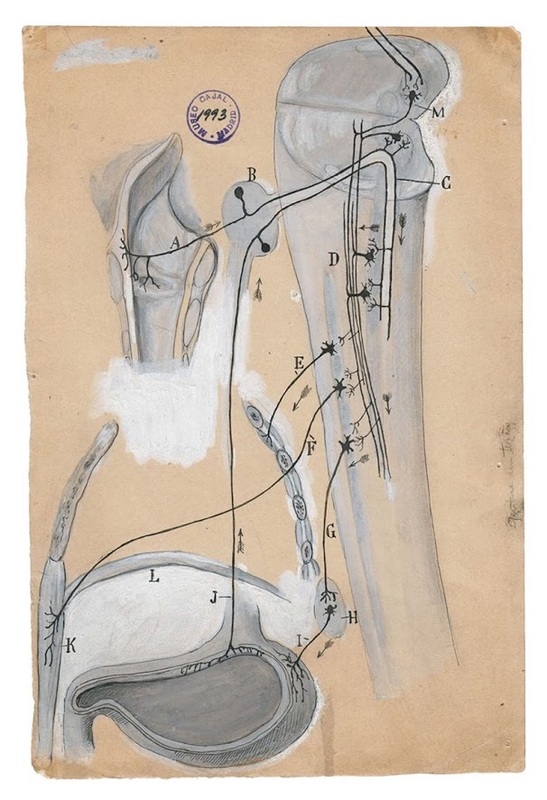 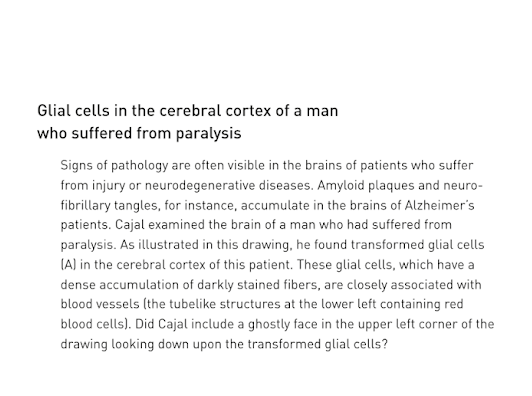 More about Santiago Ramón y Cajal here and here. 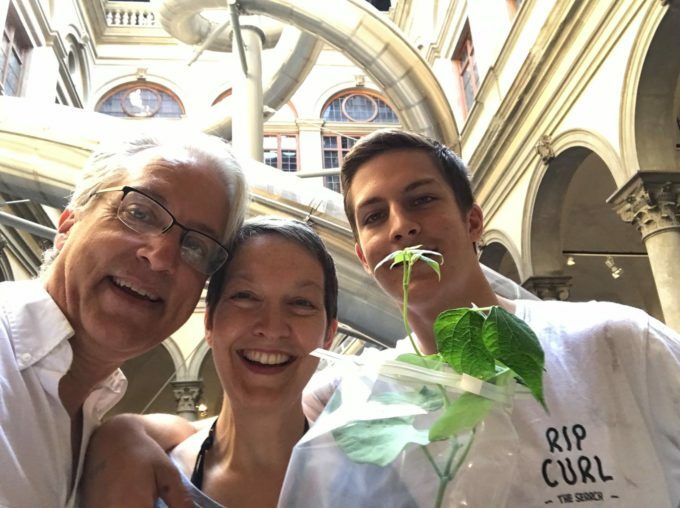 My sister, brother-in-law and nephew are currently on a whirl wind Europe tour-of-duty. 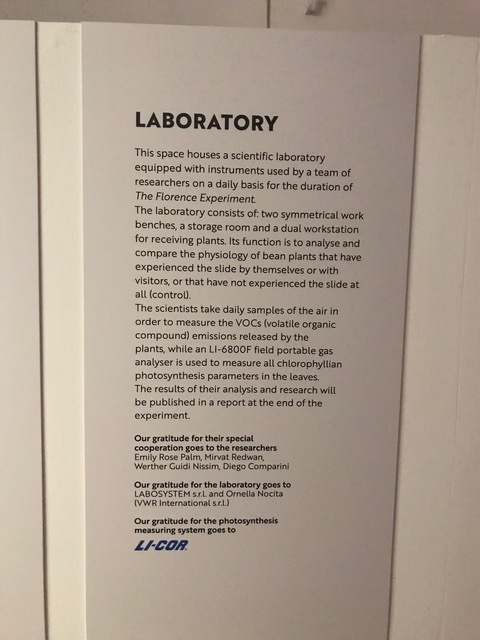 When I read this I loved it so much I asked (my sister) Donna if I could post her experience….also because Carsten Höller. 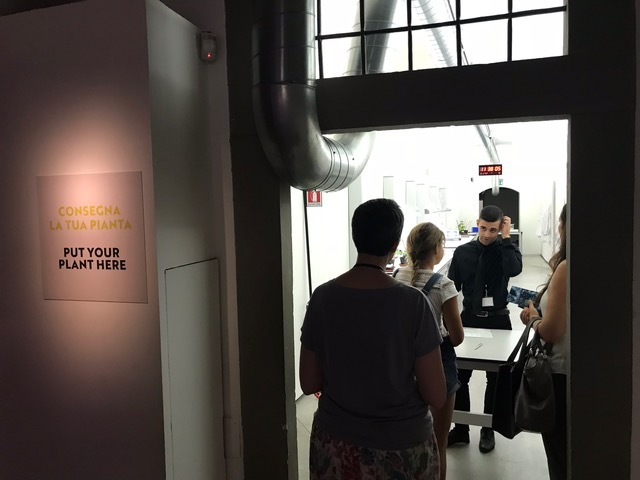 We saw a lot of Renaissance art today, so it made sense to balance it by participating in a modern art project as well. 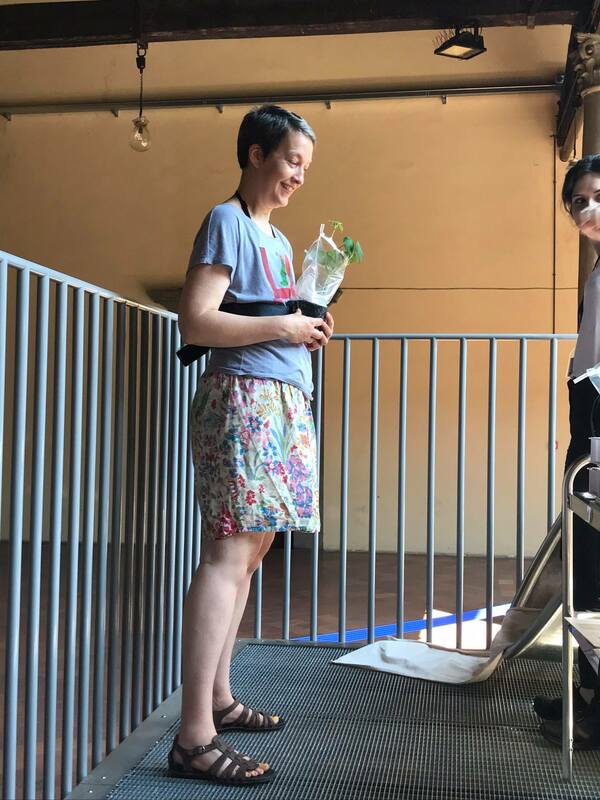 Enter the Florence Experiment, a joint art and science effort studying the effects of humans on plants by strapping them to random humans and sending them down a giant enclosed slide. 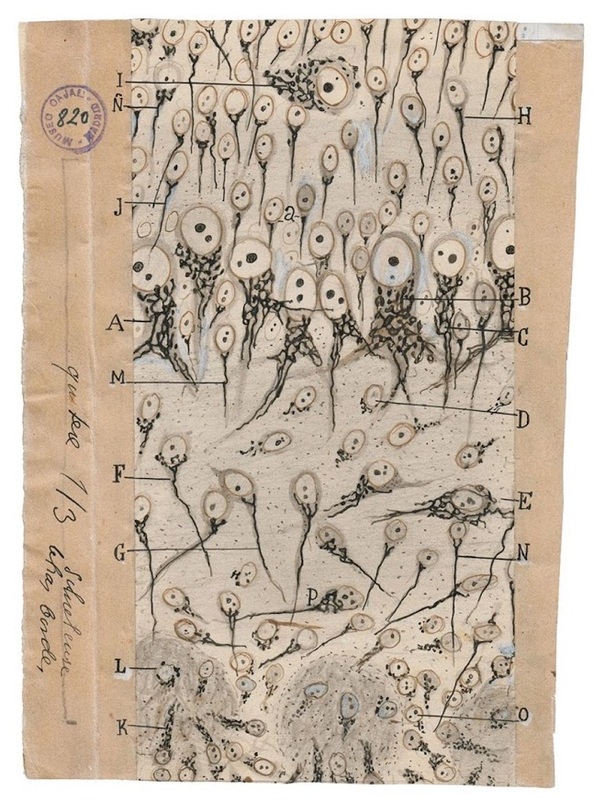 My plant got a dose of terror mixed with whee. 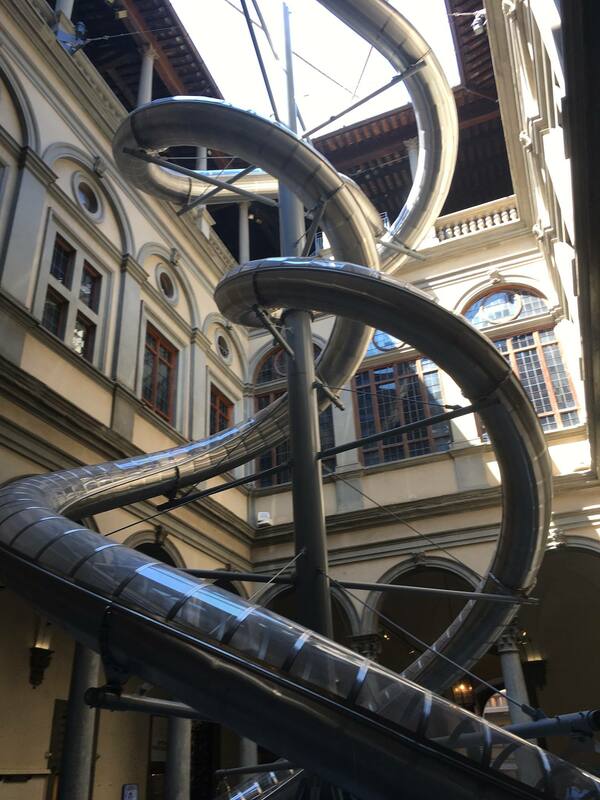 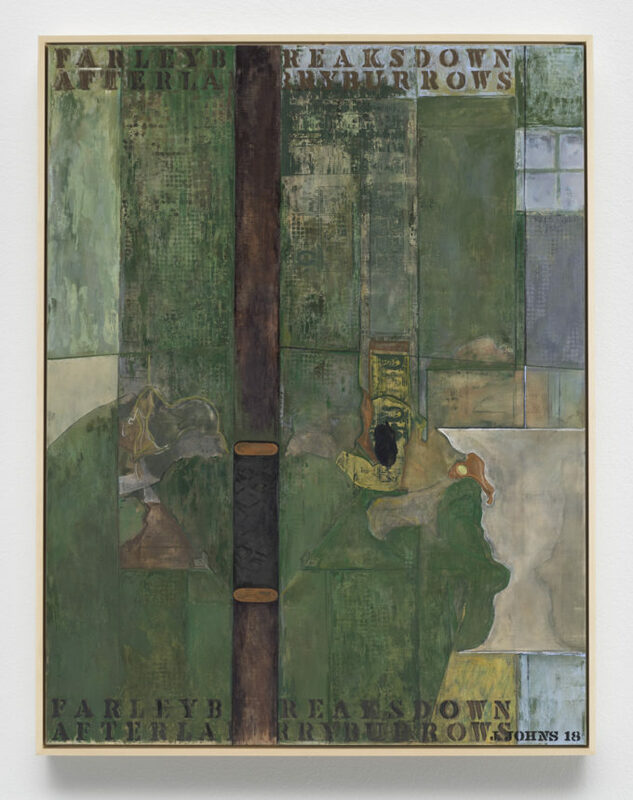 At the Palazzo Strozzi in Florence, Italy through August 26, 2018.